Details An incredible love story set in the Parisian night club "Moulin Rouge" where struggling writer Ewan McGregor with the beautiful courtesan Nicole Kidman. 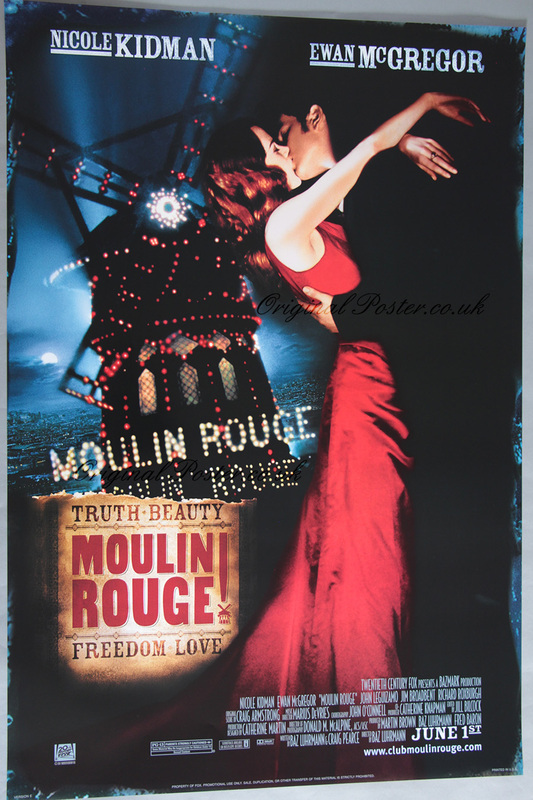 A dazzling film poster in rolled condition. This is the US one sheet style E teaser featuring the June 1st date.